Exploring the amazing tidal mud flats of England, where only a hovercraft can go! 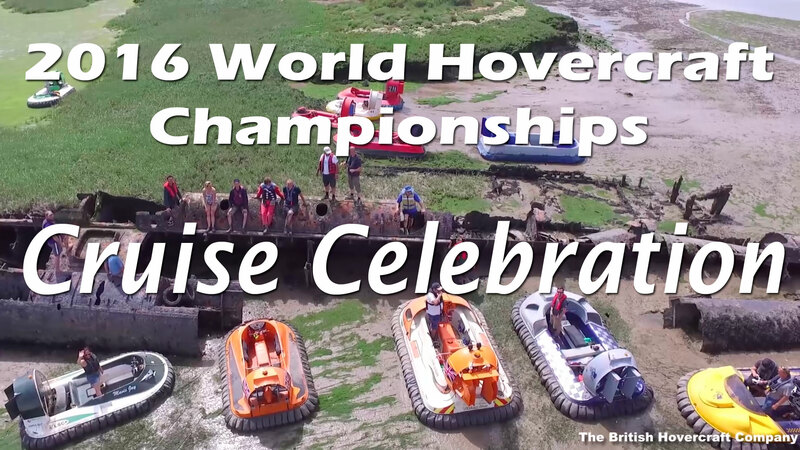 World Hovercraft Cruise Celebration 2016. We did it again… another EPIC hovercraft cruise event! In July 2015, we participated in the inaugural Wabash 500 “Hover for Hunger” run where we completed 500 miles of river cruising in a Coastal Pro 2. This July, we went over to England for one of the most amazing hovercraft cruise events ever organized. SEVEN days on the waters of the Medway and Swale rivers in Kent, UK. Both events highlighted how hovercraft can venture where no other land vehicle or watercraft can. Unlike freshwater rivers in the United States, the brackish Medway River in England has a high-tide and low-tide, which drastically changes conditions on the water from one minute to the next. Our hovercraft were able to traverse the waters and shores regardless of conditions while sailboats and jet skis were beached for hours each day. The shorelines we traveled across or stopped on consisted of meters and meters of thick, sticky mud that would engulf and trap anything crossing by foot or tire. Some in England use hovercraft to search the mud for literal buried treasures – Roman and Norman relics that have been trapped under the mud for centuries and even the occasional submarine… It was the ultimate cruising environment for hovercraft! The vast majority of the hovercraft you see in this video were manufactured by The British Hovercraft Company. These are the same models Hoverstream builds in the US. It was quite a testament to our quality and reliability to see such an overwhelming number of our own machines at the event. More importantly, after a full week cruising every day (in salt water! ), there was never a breakdown among any of our hovercraft! And some of them were over 10 years old! 21 of the 36 hovercraft cruising were our own models! Fort Darnet. All the hovercraft gathered here one day for a picnic!